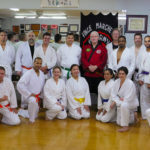 Recently, Grandmaster Marchetti was requested by his long time friend, Grandmaster Juan Otero, to provide two hours of Ju Jitsu training at a recent black belt meeting of the Goshin Ryu Karate Do Association. 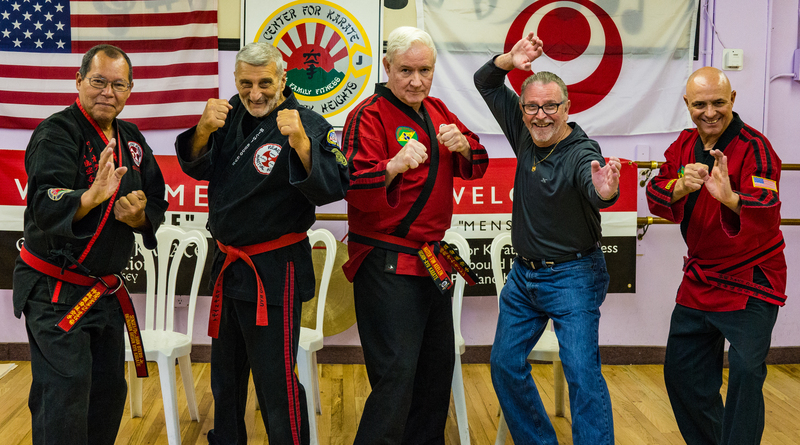 Grandmaster Marchetti and Grandmaster Otero travelled from their homes in Florida to attend this training. 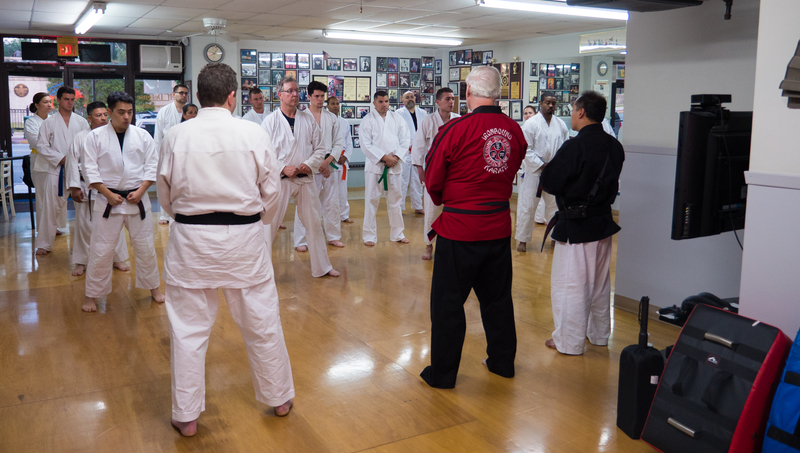 This training seminar was held on May 14, 2016, at Grandmaster Otero’s Dojo in Hasbrouck Heights, NJ and was graciously hosted by his senior instructor Renshi Inglima. 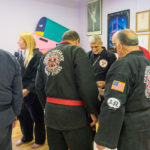 This meeting is held bi-monthly and allows the high ranking black belts in the association to share knowledge and training techniques. 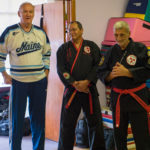 At this meeting, Grandmaster Marchetti was requested to provide training in stand up Ju Jitsu techniques and was assisted by his Chief Instructor, Sensei Joe Pung. 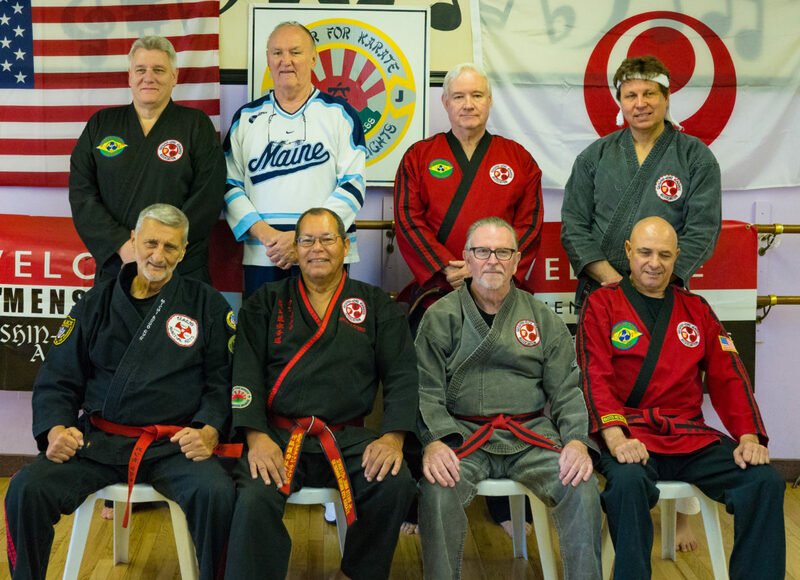 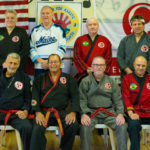 In many ways, this meeting was a reunion for Grandmaster Marchetti, as many of the attending Goshin Ryu black belts were colleagues and friends that he has known for over forty years. 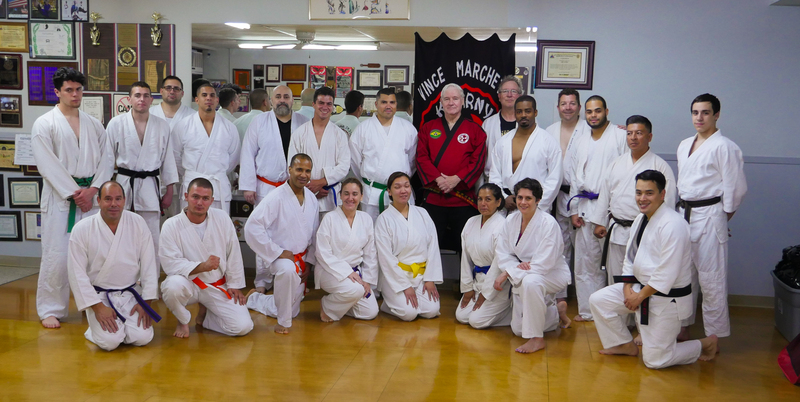 Some of those attending were students of Grandmaster Marchetti’s from the original Kearny Karate Academy. 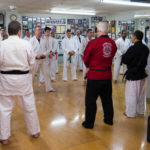 Events like this are a great opportunity to share martial arts techniques with respected colleagues. 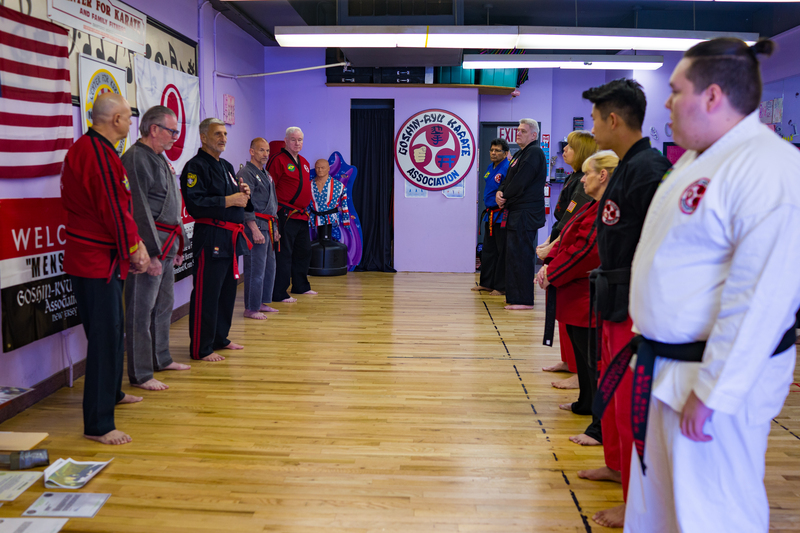 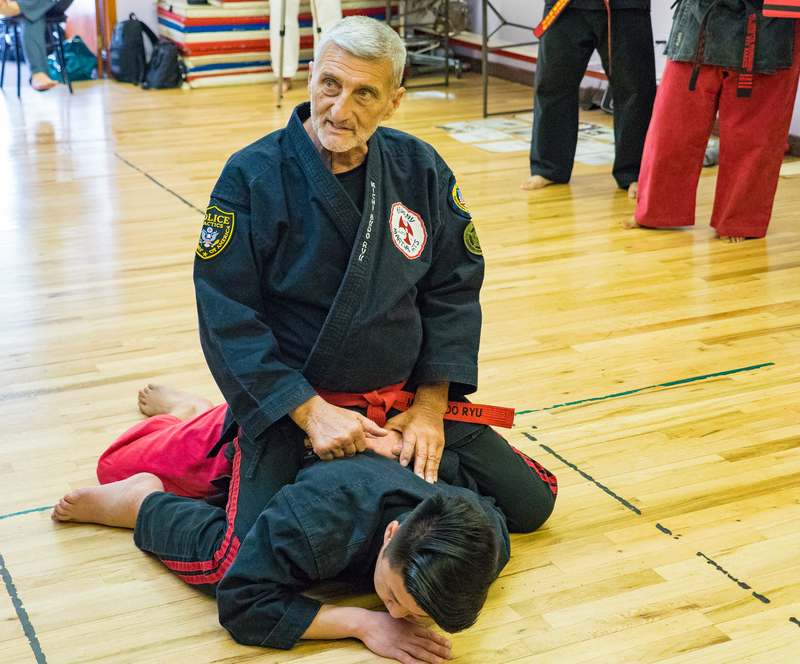 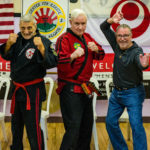 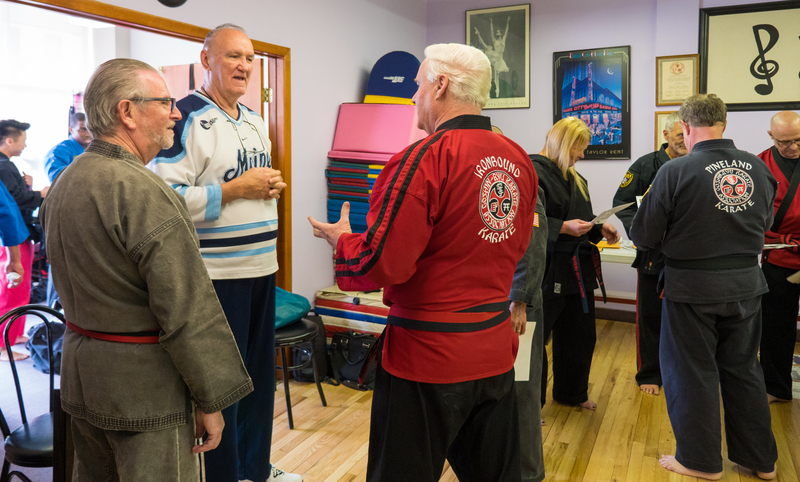 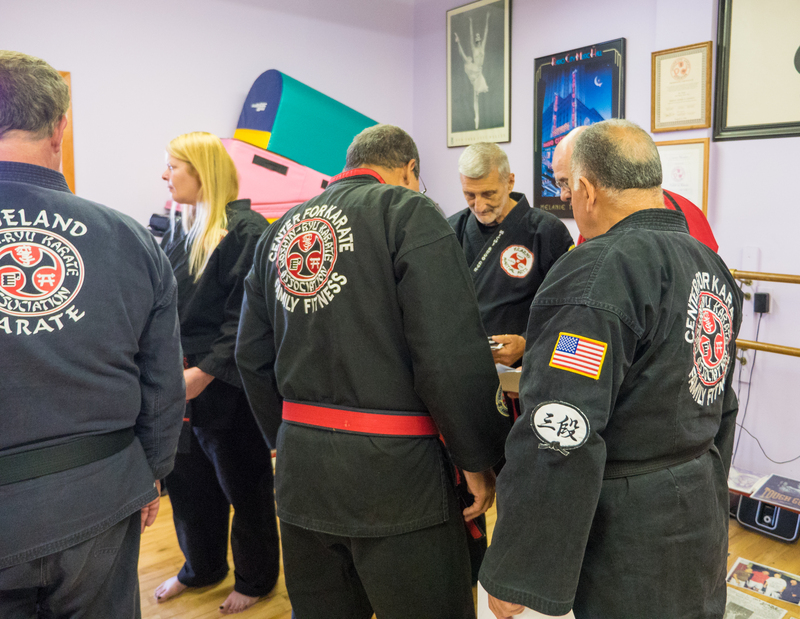 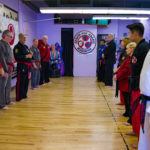 As a followup to this training seminar, Grandmaster Marchetti extended a rare invitation to Master Tom Keelen to demonstrate at Kearny Martial Arts. 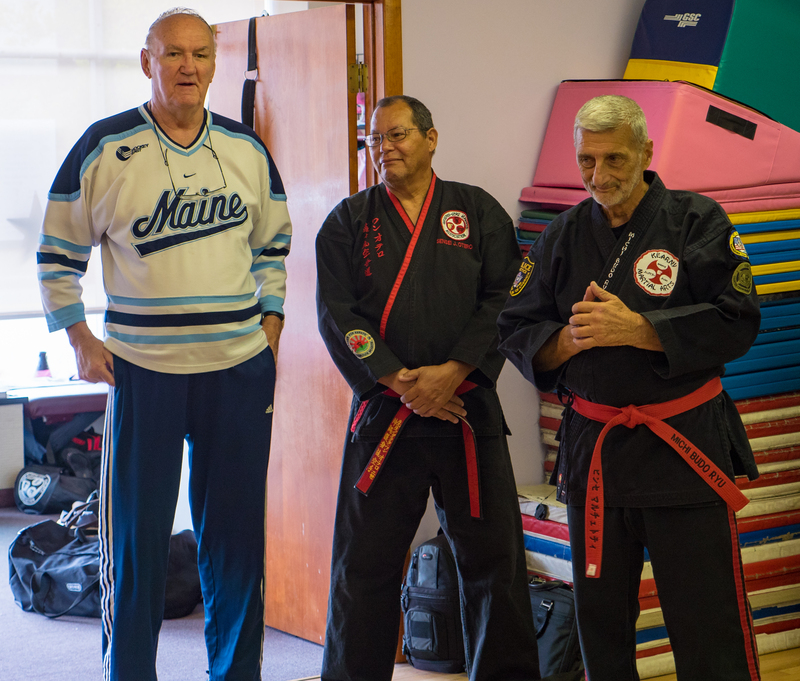 Master Keelen provided a Goshin Ryu Karate demonstration at the Kearny Martial Arts Dojo on June 23, 2016. 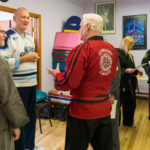 Photographs from both events are provided below.